Madridge Journal of Immunology (MJIM) deals with the physiological functioning of the immune system. Peer reviewed articles under the Madridge Journal of Immunology, are top quality articles reviewed through stringent review process under the guidance and assistance of sound and established Editorial Board comprising of reputed researchers and experienced expertise. 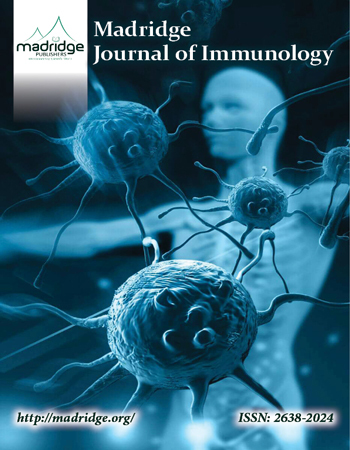 The Madridge Journal of Immunology is an open access peer review journal focusing on qualitative approach to review and publishing papers in all fields of immunology. Readers from underdeveloped economies can even easily access the content without involving monetary issues thus stimulating the research in less privileged regions as well. MJIM targets all the current and future prospective of research in the mentioned domain. The journal accepts diversified submissions as Research articles, Case reports, Review, Commentary and Short Communications etc.